Home » What is Lower Explosive Limit & Upper Explosive Limit ? The primary risk associated with combustible gases and vapors is the possibility of explosions. Explosion, like fire, requires three elements: fuel, Oxygen, and an ignition source. Each combustible gas or vapor will ignite only within a specific range of fuel/Oxygen mixtures. Too little or too much gas will not ignite. 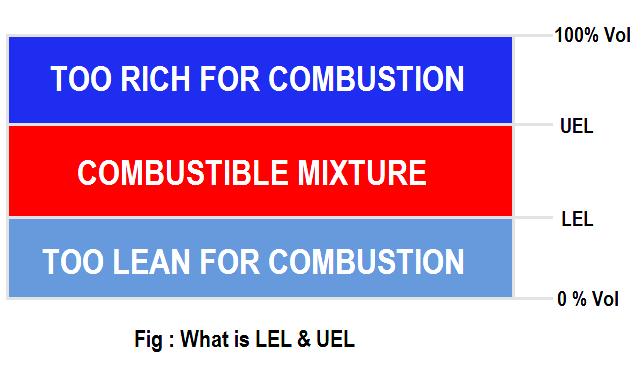 These conditions are defined as the Lower Explosive Limit (LEL) and the Upper Explosive Limit (UEL). Any amount of gas between the two limits is explosive. 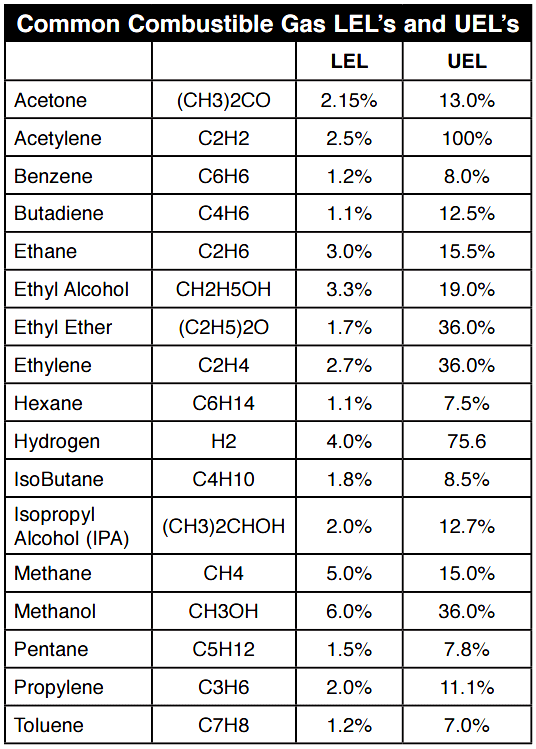 It is important to note that each gas has its own LEL and UEL, as shown in the chart below. The gas concentrations are shown by percent of total volume, with the balance as normal air. hi, whoever want basic details of instruments, this site is very useful and effective.